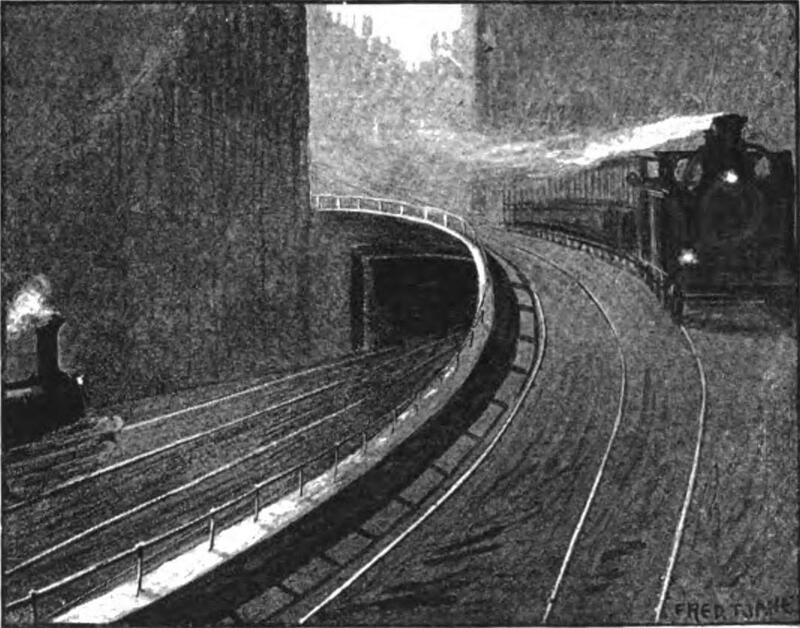 Round the Underground on an Engine – Fred T. Jane. 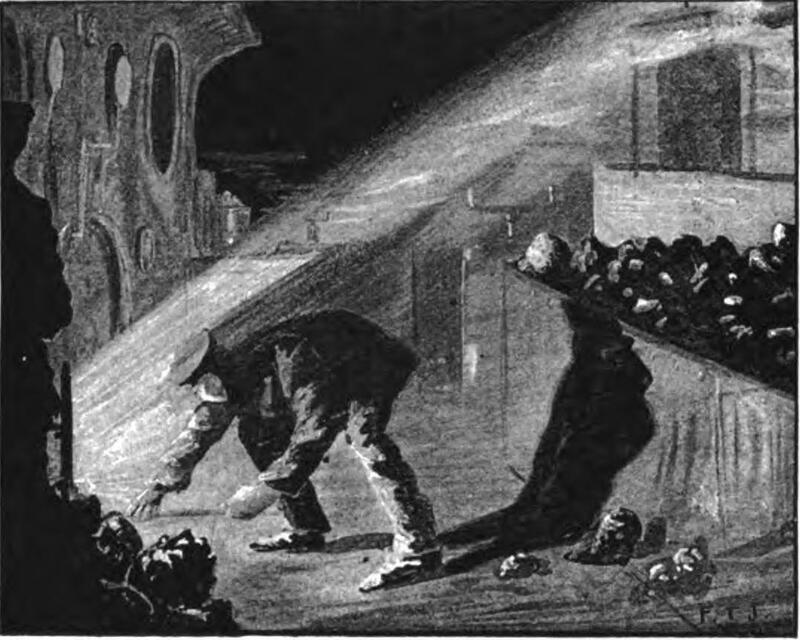 During the 1890s, The English illustrated Magazine published a series of illustrated articles by Fred T. Jane on The Romance of Modern London. 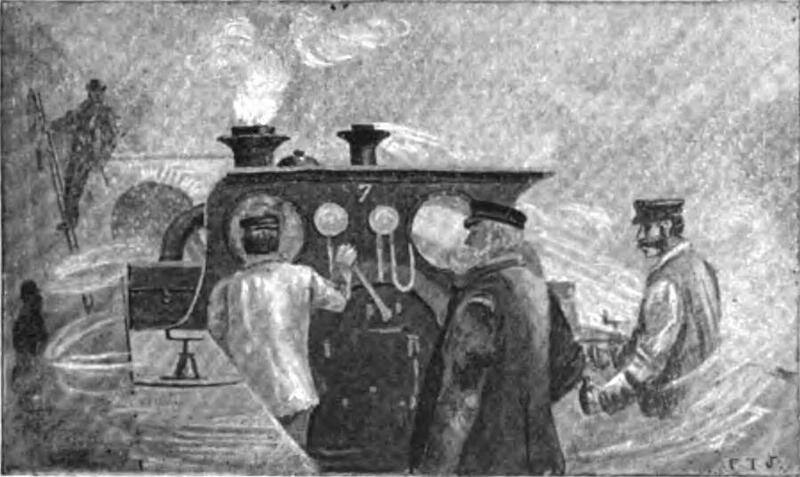 The third instalment in Volume 10, dated August 1893, deals with a footplate trip on the Inner Circle. Now long out of copyright I’m able to reproduce the text and illustrations in its entirety. The Romance of Modern London: III-Round the Underground on an Engine. Written and Illustrated by our Artist-Commissioner Fred T. Jane. By the courtesy of Mr. Powell*, manager of the District Railway, I was provided with an “engine-pass” for the “Inner Circle”; and on a bright June morning I made my way to St. James’ Park station. There I met Chief-Inspector Exall, who was detailed to accompany and look after me generally. The train selected was a District “down” one. “Down,” by the way, signifies up to the Mansion House; the explanation of this apparent paradox being that the northern part of the “Circle” was opened first. In those days the line was only some three and a half miles long and yet cost over a million pounds to construct. In a short time our train rushed into the station, and a moment later we had boarded the engine. I was accommodated with a position near the left-hand tank, whence I could get an uninterrupted view ahead; but it had its drawbacks as the water in that tank was hot. No time is wasted at stations on the Underground, and a minute later the train was off—off into a black wall ahead with the shrieking of ten thousand demons rising above the thunder of the wheels. The sensation altogether was much like the inhalation of gas preparatory to having a tooth drawn. I would have given a good deal to have waited just a minute or so longer. Visions of accidents, collisions, and crumbling tunnels floated through my mind; a fierce wind took away my breath, and innumerable blacks filled my eyes. I crouched low and held on like grim death to a little rail near me. Driver, stoker, inspector, and engine—all had vanished. Before and behind and on either side was blackness, heavy, dense and impenetrable. Westminster Bridge, Charing Cross, and The Temple were passed before I could do or think of anything beyond holding on to that rolling, rushing engine: then finding that I was still alive and sound, I began to look about me. Inspector Exall put his head to my ear and shouted something at the top of his voice, but I could only catch the word “Blackfriars.” I looked ahead. Far off in the distance was a small square-shaped hole, seemingly high up in the air, and from it came four silver threads palpitating like gossamers in the morning breeze. 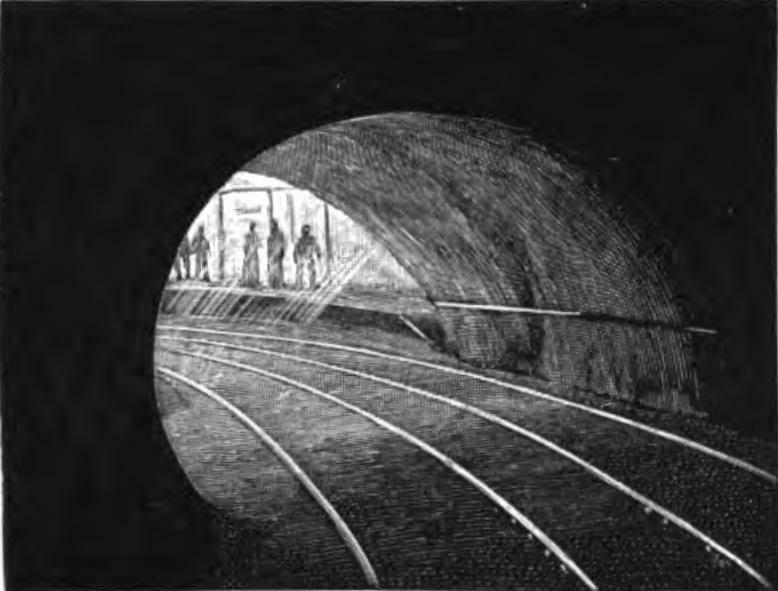 Larger and larger grew the hole, the threads became rails, and the hole a station; Blackfriars, with rays of golden sunlight piercing through the gloom. Off again, a fierce light now trailing out behind us from the open furnace door, lighting up the fireman as he shovelled more coal on to the furnace, throwing great shadows into the air, and revealing overhead a low creamy roof with black lines upon it that seemed to chase and follow us. 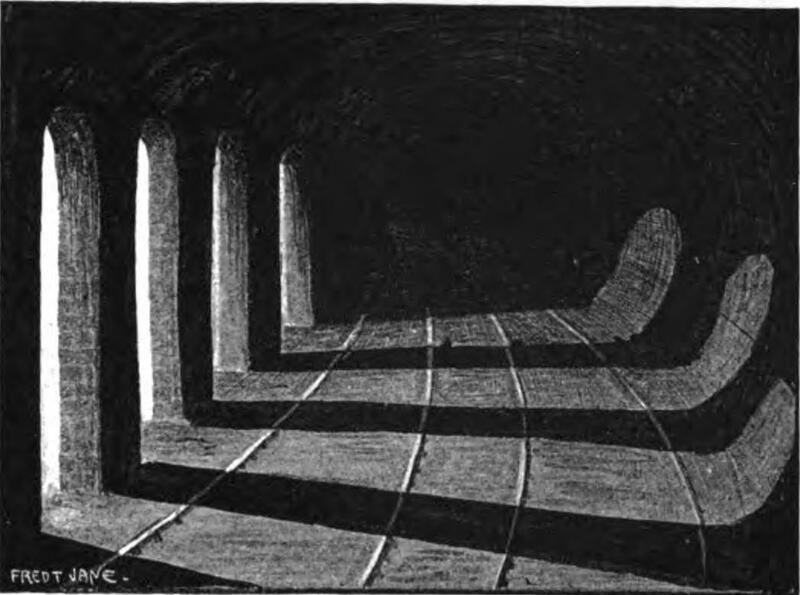 Ever and anon the guard’s face could be dimly seen at his window, more like a ghost than man; while in the glass of the look-out holes were reflected the forms of the engine-men, like spirits of the tunnel mocking us from the black pit into which we were plunging. Then again we would seem to stop, and to fall down, down, down, with always the wild shrieking surge and ceaseless clatter of the iron wheels. 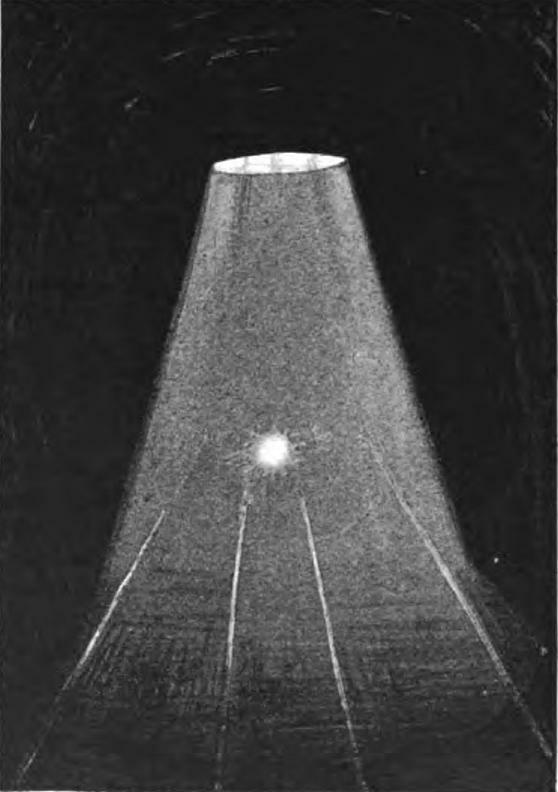 Soon ahead of us gleamed pillars of crimson stars, the signal lights of the Mansion House. Between this station and Mark Lane there is nothing particularly noticeable, saving the approach to the latter; where ghostly looking figures paced a hidden platform across which fell great golden beams that looked like impassable barriers. Yet here one could take a second glance, the beams were riven asunder and a black engine blotted them out with clouds of writhing steam. Next to Mark Lane, and almost close to it, is the old Tower station, now disused. We sped past its deserted platforms and limp signal posts, and a few minutes later steamed into the central station, Aldgate. The firemen at once jumped off the engine and made the necessary arrangements for filling our water tanks. So quickly was this done that probably none of the passengers noticed any difference in the length of the stoppage, and in a very short while we were off again into the tunnels, two minutes sufficing to bring us round a sharp curve into Bishopsgate. 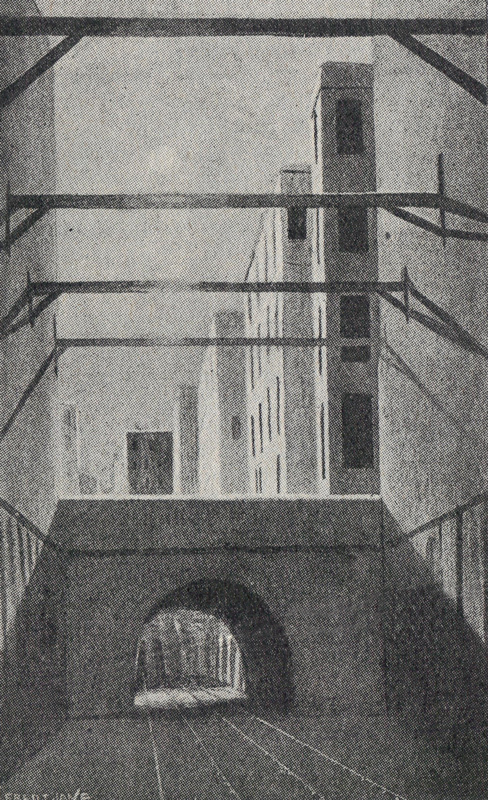 Aldersgate, the next station, was opened in 1865, and for many years was comparatively deserted by passengers. The opening of the markets hard by has altered all this, and it is now one of the principal stations on the line. All about this section we encountered other lines which sometimes dived under us, at other times merely diverged in various directions. Outside Aldersgate the line is ventilated by a series of arches, which give a fine effect of light and shade, making the tunnel look like an old-time dungeon. From Farringdon Street to King’s Cross is the longest stretch without a station, and the driver here gave us an exhibition of full speed, and No. 18 came into King’s Cross at the rate of some forty miles an hour. The average speed of trains between one station and another is from twenty to twenty-five miles. Fog on the underground appears to cause less inconvenience than do the sultry days of July; then the atmosphere is killing. With the exception of this one section (between King’s Cross and Edgware Road) I found the air far purer than I had expected, and the bad air so much complained of by the “sewer-rats”—as those who habitually use this circle are called in “the City”—is due in a great measure to their almost universal habit of keeping all the windows and ventilators closed. The finest bit of scenery on the underground is the Baker Street Junction, where a second tunnel leading to the St. John’s Wood line branches out of the main one. It is no longer used for through trains, however, owing to a fearful accident that occurred here some time ago, and Baker Street is now the terminus of that line. 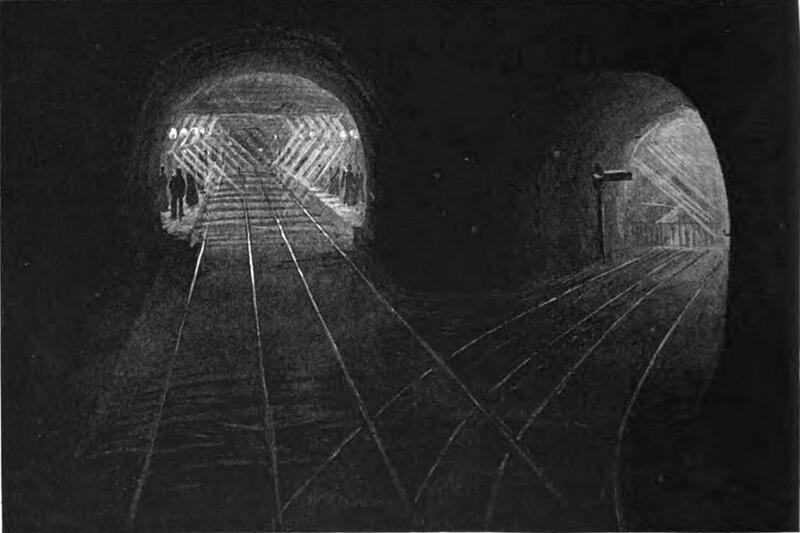 On the left through the main tunnel lies the station, a medley in crimson and gold ; on the right the daylight creeps in, and the picture is a harmony in blue and silver. It is a novel and unexpected sight to see the ordinary black coat of respectability look crimson, as it does when seen after the intense blackness of the tunnel. But like all the other scenes, this was brief and momentary; then a dream of the past. There is a similar and much-used junction before Praed Street, but it is provided with a big signal box where the tunnels meet. The ventilating holes in the tunnel roof all about this part give a beautiful effect of light striking into darkness ; especially one before Edgware Road is reached, where the silver column of light fell on a green signal lamp, set low in the permanent way. Just before Praed Street we got into daylight again—the line passing through a sort of valley formed by high houses on either side. 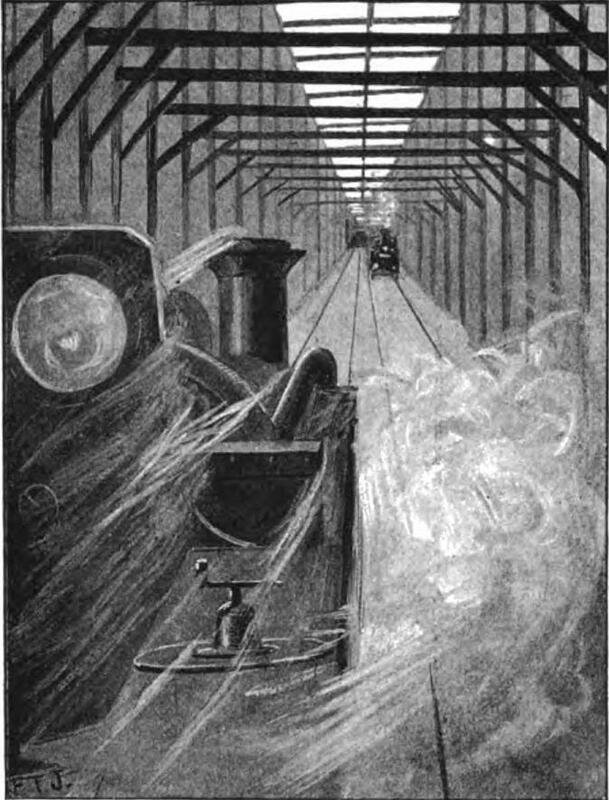 Hitherto, though we had passed many, I had scarcely noticed the trains that we met; but about here I changed over to the right side of the engine in order to get a better view of a coming train. I had not long to wait. 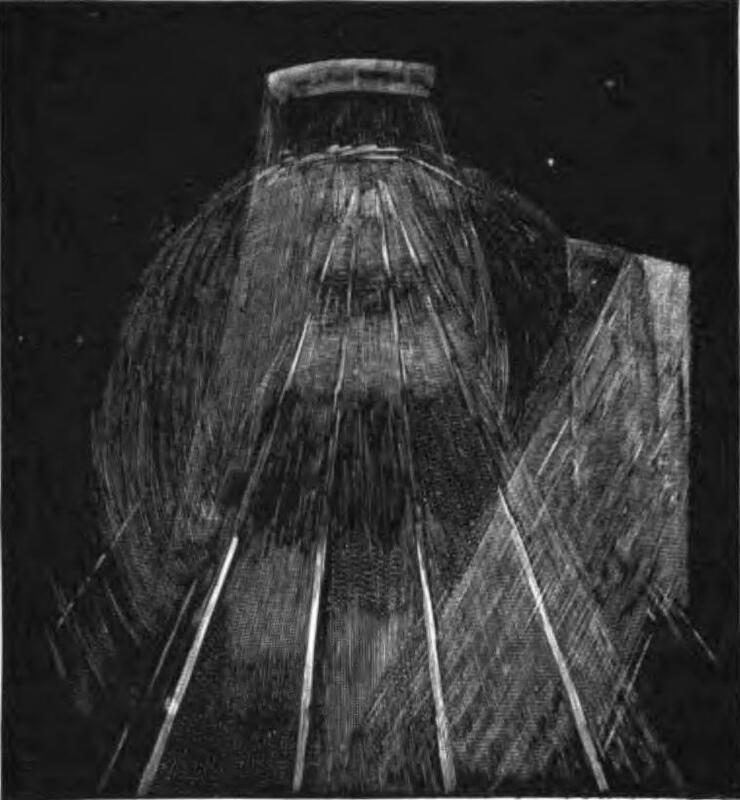 Far away in the distance was an ever-increasing speck of light—the head light of an approaching train. 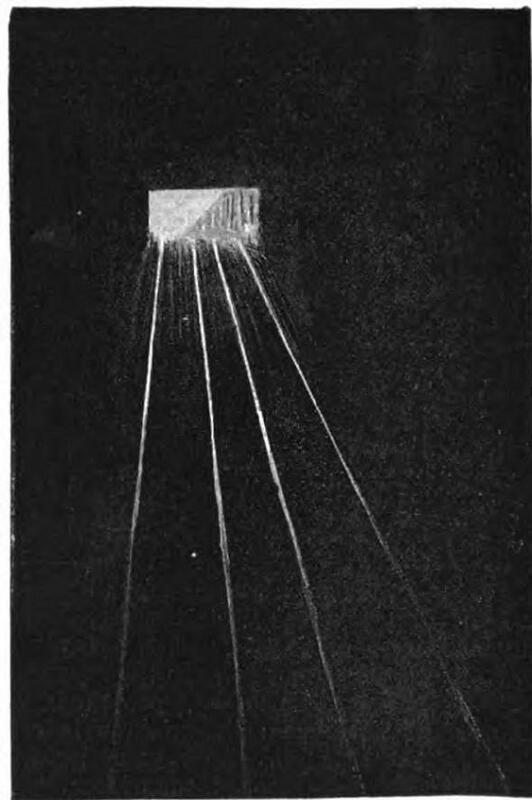 A moment later, it had come and gone—a silent flash of light, so silent that it might have been a phantom; our own engine made too much noise for any other sound to be audible. Curiously enough, an approaching train is totally unlike what one would imagine it ought to look like. 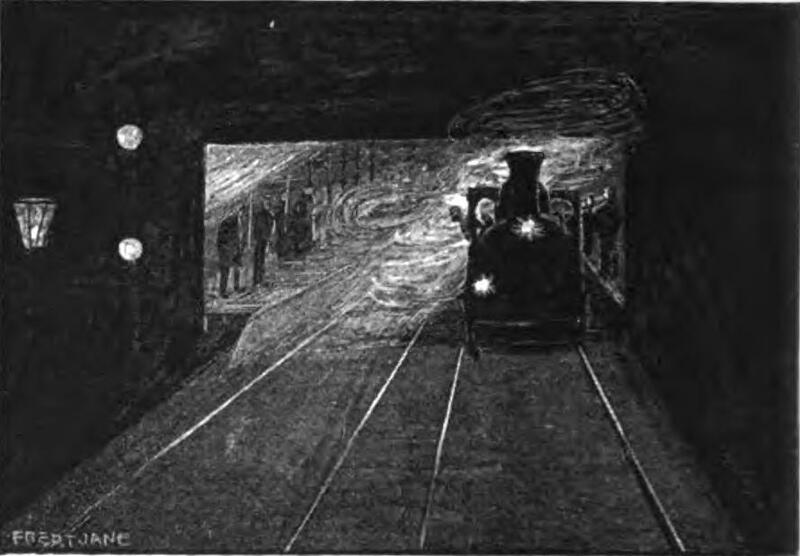 A strong light bursts from the furnace if it chances to be open, and illuminates the tunnel overhead, the carriage windows and brass work make lines of light that run off and die in the distance, but the engine itself is lost in the blackness through which it is rushing. At High Street, Kensington, engines are changed so we jumped off—at least my guide did—my attempt to follow his example being calculated to cause an impression that I had taken the platform to be a seat—but all this is by the way. Engine No. 18 went off into a shed to rest awhile, and No. 7, a precisely similar one, backed on to the train in her place. This resting of engines is rendered a frequent necessity from the strain caused by the numerous stoppages ; incessant running in one direction has also been found bad for them as it wears away the wheels on one side sooner than on the other. To remedy this, the engines half their time run “backwards forwards,” as they say in the West of England. Off again; and this time down-hill. We dashed rapidly through the grass embankments outside Gloucester Road, past some men posting bills on the advertisement hoardings that border the line below South Kensington, now deep in a tunnel, now traversing a cutting open to the sky; until we shot once more into St. James’ Park, seventy minutes after leaving it. We had covered some thirteen miles in our trip round London; seemingly no great distance for the time occupied; till one recollects that it entailed no less than twenty-seven stoppages, with a watering and change of engines into the bargain. It is these stoppages that make the journey as long as it is ; if a train went round at its usual rate it would be back at the starting point in less than forty minutes, while if it went full speed some twenty minutes would suffice. However, the seventy-minute trip is quite rapid enough for all practical purposes, and is only rendered possible by the excellence of the brake arrangements, and the perfection to which the block-system of signalling has now been brought. The length of the stoppages could not well be reduced, indeed they are already too short if we are to believe the tale now current of a wandering Jew sort of passenger—a lady of advanced years who can only alight from a train backwards. Every time she begins to get out a porter rushes up crying, “Hurry up, ma’am; train’s going!”—and pushes her in again! *Alfred Powell was manager of the Metropolitan District Railway Company from 1885 to 1902 when he retired by reason of ill health. A quite fascinating and most worthwhile account, and most delightfully illustrated, too! The text is a treat (“The sensation altogether was much like the inhalation of gas preparatory to having a tooth drawn” ! ), and reminds us thatg as humans we have so much yet to discover and marvel at in the future. But I’m particularly captivated by the illustrations. The way the artist has experimented with capturing the feel and mood is very special. Some of them don’t work, but some of them really do. I especially liked “Approaching Blackfriars”. Many thanks for taking the time and trouble to put this up! Thank you for posting this. It’s a really fascinating read and those illustrations are indeed beautiful. What a fascinating ride that must have been. All hustle and “bustle…” and just where will you place the scene of the porter and the lady who has yet to descend from the carriage? I’m glad you all enjoyed it. There are at least another two instalments which may be of interest, so I’ll see about putting them up at some point. Graham: Good question, don’t know 🙂 There must be a DCC function for that sort of thing. What a fabulous account, with all the authentic language of the period. I really enjoyed this, thanks for putting it up on the blog. 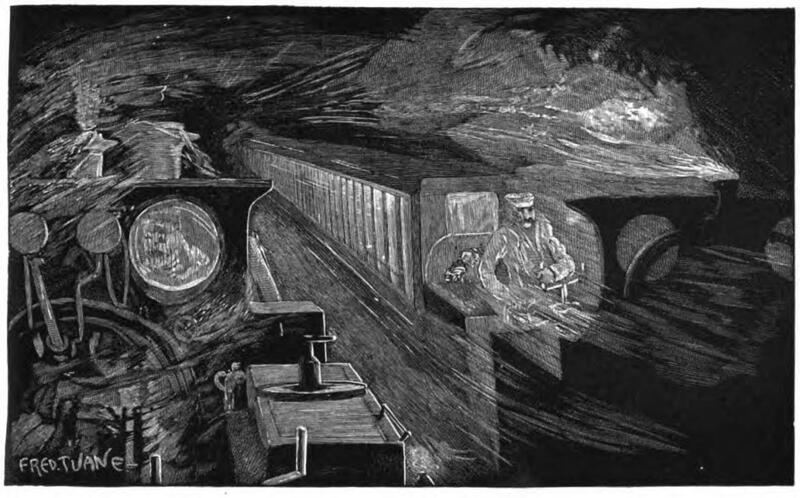 The illustrations are something else, and at times conjure a mephitic vision of life on the underground locomotives! Many thanks for posting, an interesting read indeed. Smashing stuff. Very evocative. I’d be intrigued as to how the fireman mitigated getting blinded by the glow of the fire. Great stuff! Wonderfully evocative of the time. What a wonderful discovery! I thoroughly enjoyed it. Many thanks for posting it.